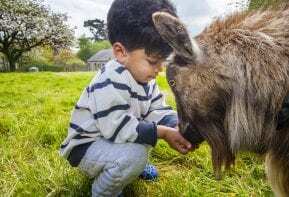 It can be a challenge finding a holiday that is genuinely friendly to young children, but here at Tredethick Farm Cottages in Cornwall we offer authentic farm holiday breaks that are as fun and engaging for kids of all ages as well as enjoyable for their parents! 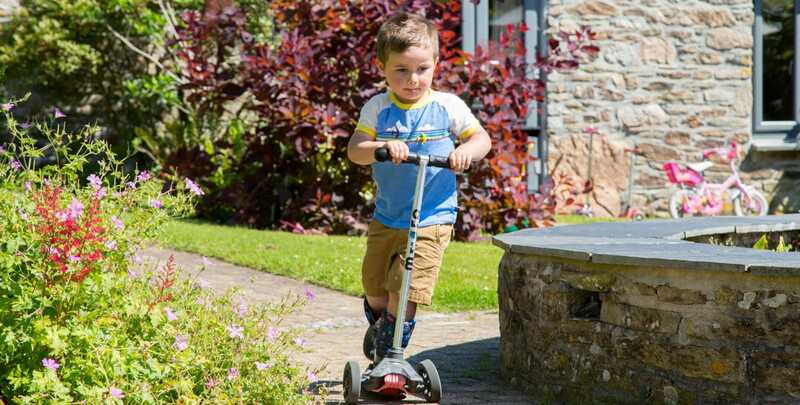 Our eight beautiful, high-end cottages are designed and equipped to be as baby and toddler friendly as possible and we can provide you with plenty of extra kit to save you having to lug it with you. You can buy fishing and crab nets for your rockpool encounters in the farm shop, and you’re welcome to borrow buckets and spades from our giant indoor sandpit. There’s even a bedtime stories box in the office so you can borrow storybooks if your mini-farmer gets bored of theirs halfway through the week!  Your little ones will love life on the farm. 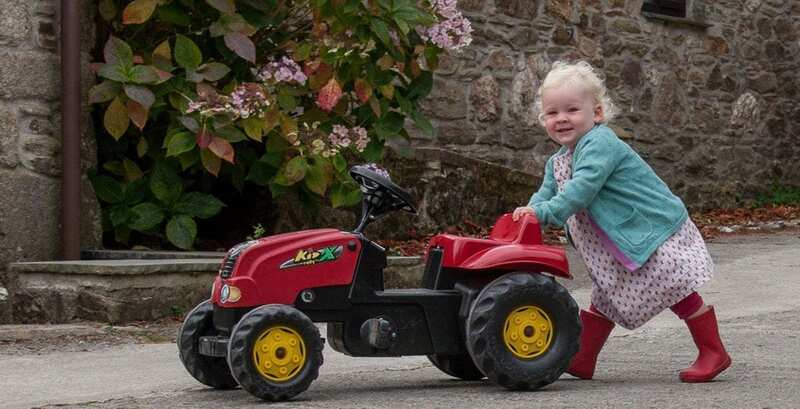 From waking up to feed the animals, riding ponies or pedalling mini tractors, to playing in the play park and zooming around our balance bike track (or indoor play barn if the weather lets you down!). We have a fantastic soft play room and an indoor heated pool to keep the little ones entertained. Hopefully, we’ve thought of everything – so you don’t have to, including fluffy, white bathrobes for dashes (for the slightly older members of the family) to the stunning hot tub! 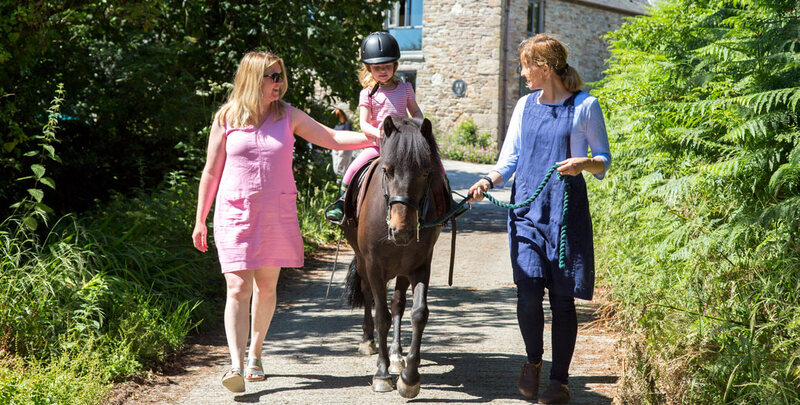 Close to Tredethick Farm Cottages are beautiful child-friendly beaches, historic castles, magnificent places to explore like the Eden Project and the Lost Gardens of Heligan and a wealth of walks and cycle trails. 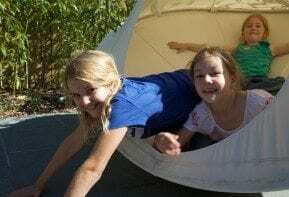 Here at Tredethick Farm Cottages, we know how important a family holiday is, and how difficult it can be to please everybody! 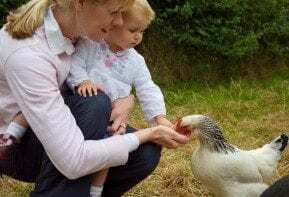 With more than twenty years’ experience delivering memorable family, farm holidays in Lostwithiel, Cornwall, we are confident that you’ll love your holiday with us. 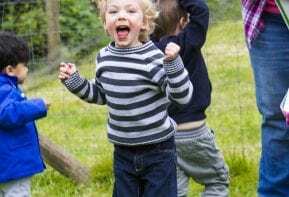 If you’re in need of some inspiration, check out our Pinterest for child-friendly ideas to spend the day.